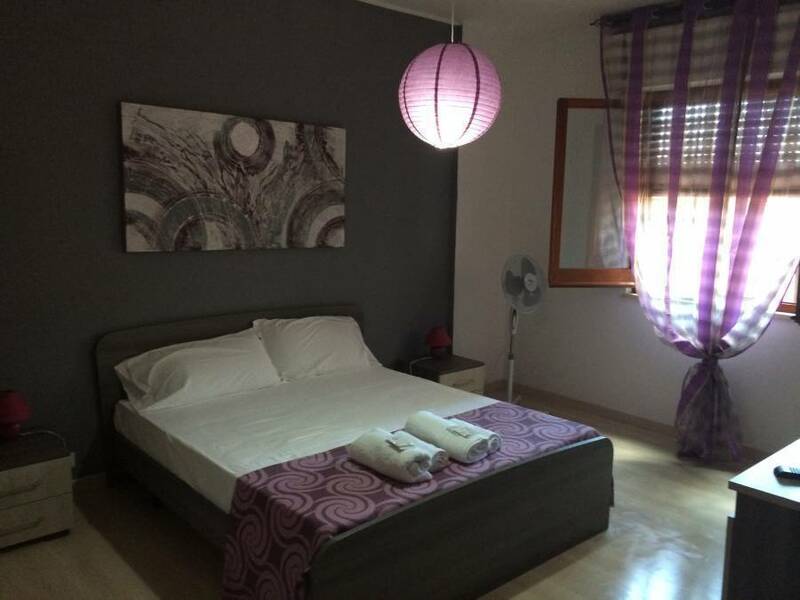 The Rose House” is located close to Piazza Castelnuovo (Piazza Politeama), crossroads connecting the city centre to the main terminals and the most famous tourist attractions. It is located in the district “Libertà” near “Politeama” Theater, and “Zisa” Castle, and it is only 15 minutes far from the “Quattro Canti” (four corners): center of the ancient city. “The Rose House” is out of the context of the ancient city and offers our guests an elegant and comfortable condition, this ensuring tranquility and extreme security whenever you decide to go out during night and day. Moreover, our building offers a concierge service during most of the daylight hours. “The Rose House” consists of: two warm and comfortable double bedrooms; a simple and functional double room with twin-beds; two external bathrooms (one has a shower and the other one has a bath); a living room, where you can have an italian breakfast in the morning, or relax on the sofa reading a book, watching TV or surfing using our computer with free wi-fi; a kitchen to be used only on request; a verandah/foyer where you can smoke. All our rooms are finely furnished with a closet, a suitcase trestle, a desk, two bedsides, TV and free wi-fi, fan for the summer and centralized heater for winter. On request, transfer to and from Palermo airport is available. All this to offer our guests a holiday like a real “palermitano”. Camera Viola: camera matrimoniale con finestra, armadio, scrivania, porta valigie, sedia, tv.